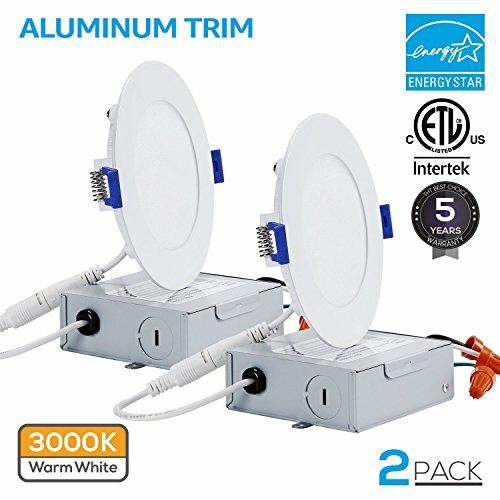 10W 4'' Ultra-thin Recessed Ceiling Light with Junction Box, Dimmable Can-Killer Airtight Downlight, 650lm 80W Equivalent, ETL-listed and Energy Star Certified, 3000K Warm White, Pack of 2 by TORCHSTAR at Result BD. MPN: SJ1DL4D-2P10W30. Hurry! Limited time offer. Offer valid only while supplies last. This warm white recessed ceiling light would just be the one you want if you are troubled by the little space of ceiling or high electricity costs.